Celebrate Wrestlemania 34 in style. 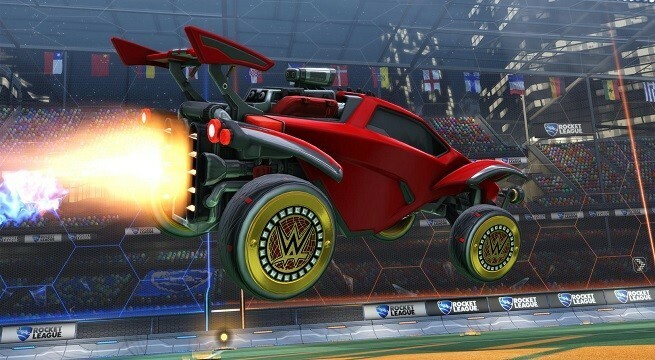 New WWE-themed items will be heading to Rocket League on April 8 to tie in with WWE’s flagship event, Wrestlemania 34. 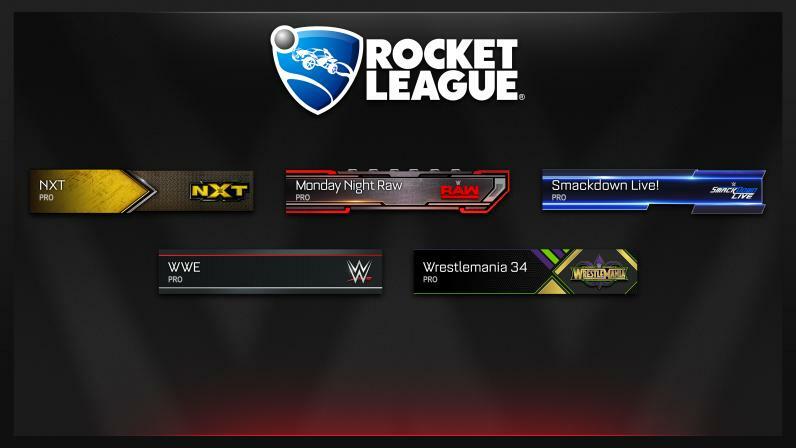 Psyonix announced the partnership with WWE a few months ago, but have not revealed any of the items that would be available until now. There will be 11 items in total coming to the game sometime this week, including Flags and Player Banners of the WWE, Raw, SmackDown, NXT, and WrestleMania 34 logos and a WWE-themed wheel option. These items can only be unlocked with special codes, however, and players are not guaranteed to get the item they want. During Wrestlemania 34, Psyonic will released a special code on their Twitter account that will unlock two random items from the 11 available. More codes will then be distributed during later WWE events. Currently, there is no way of knowing if these codes will expire, so be sure to act fast to get your hands on these exclusive goodies. When a player unlocks the item, they will have the option to trade them straight away. So if you get something you didn’t want, head on over to the Rocket League Reddit page to trade with other players.